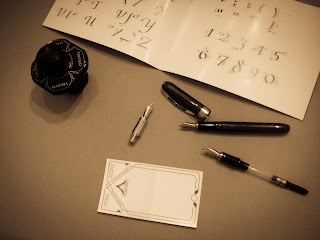 Occasionally, I will fool myself into thinking I will take the time to learn calligraphy. This is not one of those moments. I purchased this set because I love Rembrandt pens and it was too good of a deal to pass up. As I am writing this, I think the set can still be found for $160.00 or less. I purchased my set from Goldspot, who provides excellent customer service. One Rembrandt pen body and cap of one of the following colors: ivory, black, red, orange, blue or purple; Three palladium steel nibs: .5 italic, 1.5 italic and standard medium (Note: not all sets include the medium nib); A pad of blotting papers; A booklet on calligraphy; A bottle of black ink; And two converters. The box itself includes a couple of built in nib holders, so that you can alternate between two nibs without removing the converters. The italic nibs are housed in plastic sections, rather than the steel housing of the standard pen. 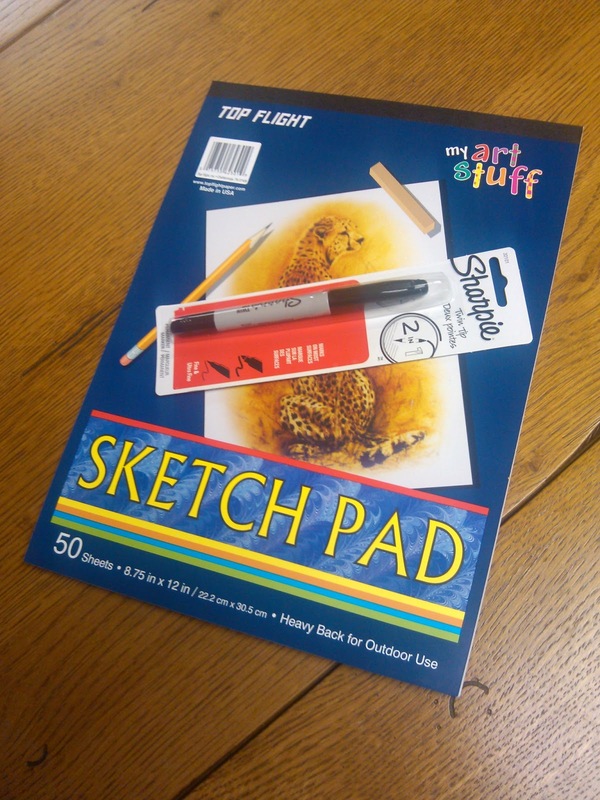 This reduces the weight of the pen considerably. I found the lighter weight to be so comfortable that I've been using the .5 Italic nib as a daily writer. The calligraphy booklet is written in Italian, English and German. It is a brief 24 pages long, four of which are taken by the cleaning, filling and warranty information. The booklet includes samples and instructions for the following alphabets: Italic, Gothic, Uncial, Foundational, Rotunda and English Script. I find it difficult choosing a pen color online, because I don't trust the accuracy of the colors on the photographs. I already had the black pen and none of the other colors appealed to me. I prefer dark colors for pens, so that left only the purple pen, which is not a color I'd normally choose. I was pleasantly surprised by the deep rich color and the hint of red in the swirls. Had I been able to see the pens in person, I might have chosen the red or the blue, but they appeared too light online. Whether you are a calligrapher, artist, or writer, this is an excellent pen for a reasonable price with a lot of options. 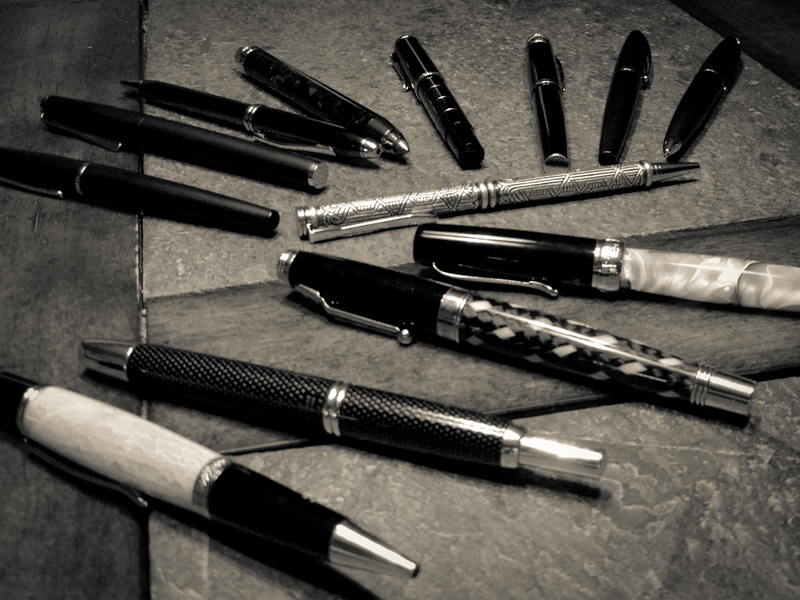 For a thorough review of the standard Rembrandt pen, read my post here from June 28, 2011. I realized, once again, how stuck I am on black and white, or silver and black pens. This photo is actually several years old and I have added a number of pens since then, most of which are black and white or black and silver. Recently, I was about to purchase another pen, which was black carbon fiber and silver. I paused and wondered why I would buy another pen of the same color combo as most of my others? The answer was simple, I still like that color (less) combo! (Although, I did not buy that pen due to marginal reviews.) No surprise, my favorite ink is basic black - though I note that they are not all equal. For example, Pearl Noire from J. Herbin is the blackest of blacks, I love that ink. My pens seem to like Pilot black the best:" it doesn't clog or dry out very easily. While I would never wear a tuxedo that is not basic black, I do have some pens in other colors, which I enjoy and use often. But in the end my first choice is always basic black. By the way, one of the best and most affordable basic black fountain pens is the Levenger Truewriter Obsidian. It is one of my basic work pens, filled with Noodler's Polar Bulletproof black. The TW Obsidian is always ready to write, even if I've not used it for several days. No matter how beautiful a pen is, knowing that it will write the moment you touch it to paper is the best feature of any fountain pen.